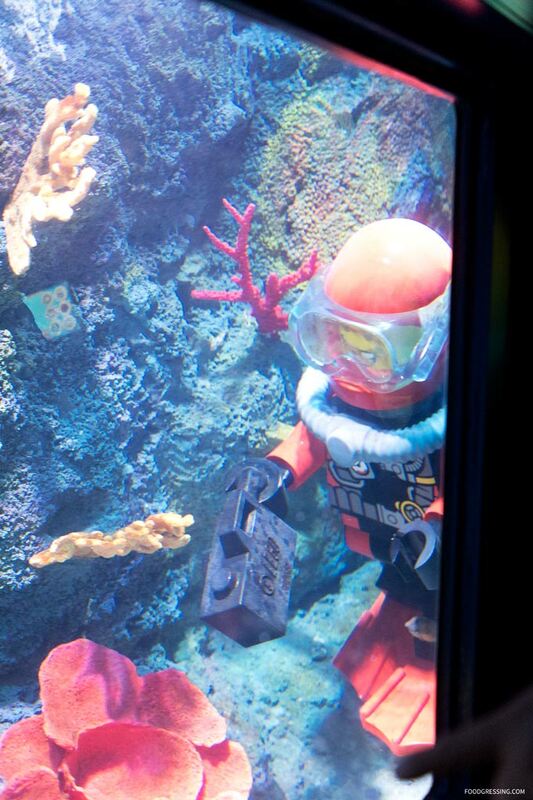 Earlier this month, LEGOLAND California unveiled their widely anticipated and newest attraction: Deep Sea Adventure. 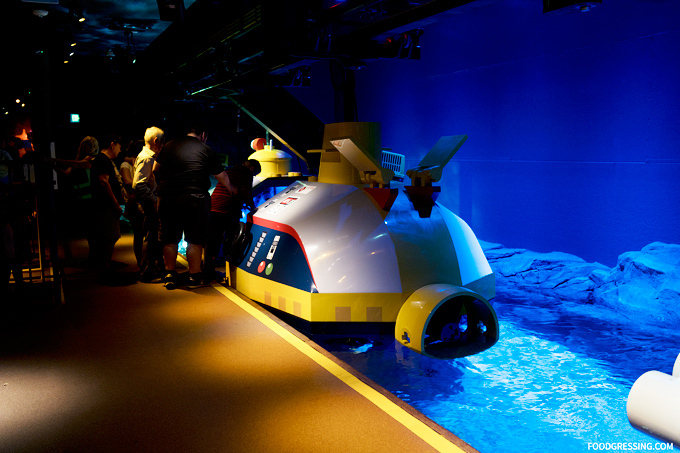 In this 4-minute ride, guests embark on a real 22,000-pound submarine through a 350,000-gallon aquarium where they’ll go underwater to discover a world filled with 2,000 real sea animals including sharks, rays and tropical fish. On our trip to LA/San Diego last week, my family and I had the opportunity to visit LEGOLAND and experience this latest ride at the park. 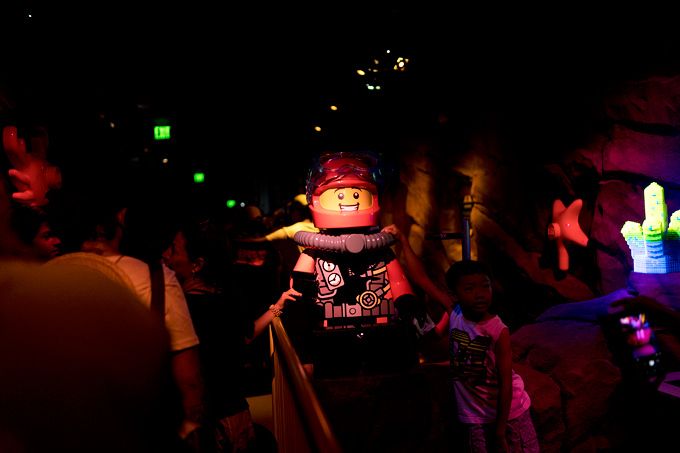 Disclosure: I visited LEGOLAND as media where my admission was complimentary. Opinions are my own. The lineup was about a half and hour long but we were kept cool in the hot weather with some umbrellas. Closer to the entrance, the line becomes sort of a loop and in the middle is a small play area for kids to be entertained. When we got inside, we received a “mission” delivered to us by a 3-foot-tall LEGO diver whose face, with the help of a projector screen, is animated as he gives instructions. 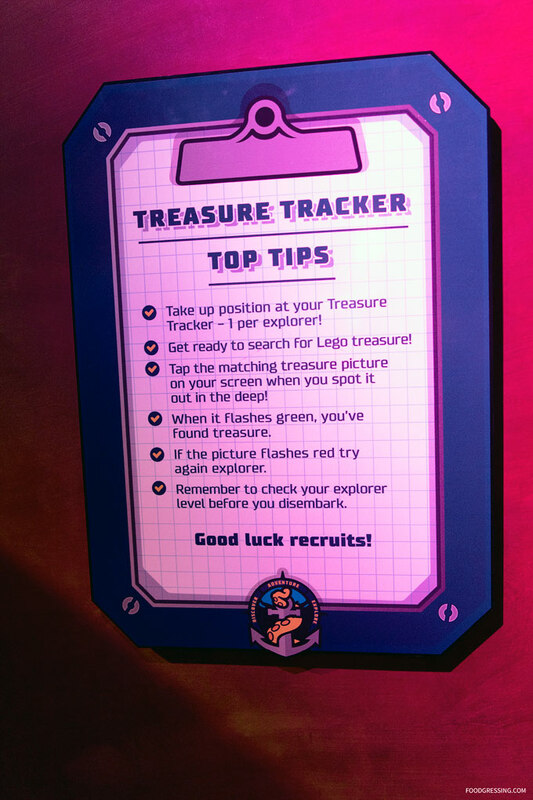 The mission entailed using the interactive touchscreens at each porthole inside the sub to help the LEGO minifigure dive team identify LEGO treasures like gems, pearls, gold coins and more. 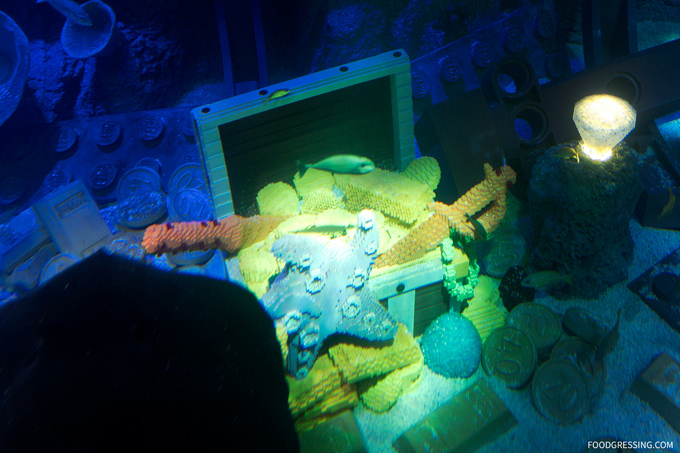 Guests are to match the treasure picture on the screen when they see it in the deep. 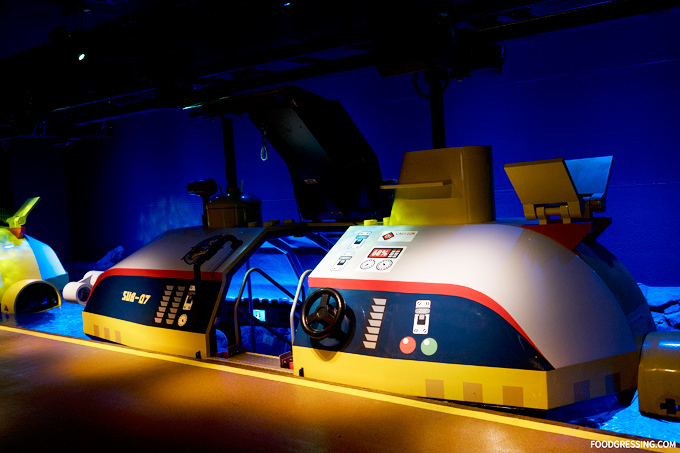 You can reach one of three levels during each ride: Junior, Senior and Master Explorer. One slightly confusing aspect of the ride is that the submarines don’t actually stop for you to get embark. You need to get onto the moving submarines and immediately descend a short flight of stairs to the seating area. Another interesting aspect is that the submarine isn’t actually fully submerged in water. The bottom half is underwater and that is where you get to see through the portholes. While the capacity of the submarine is 12 people, ours had just had 6 so it was quite cozy and comfortable inside. 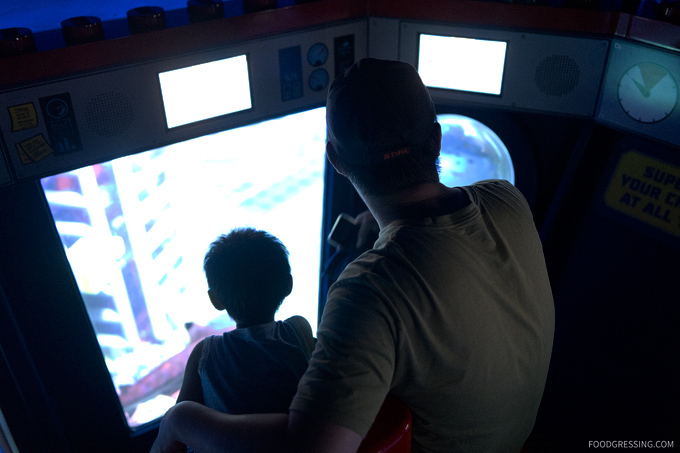 Each person has his or her own touchscreen to play the game. 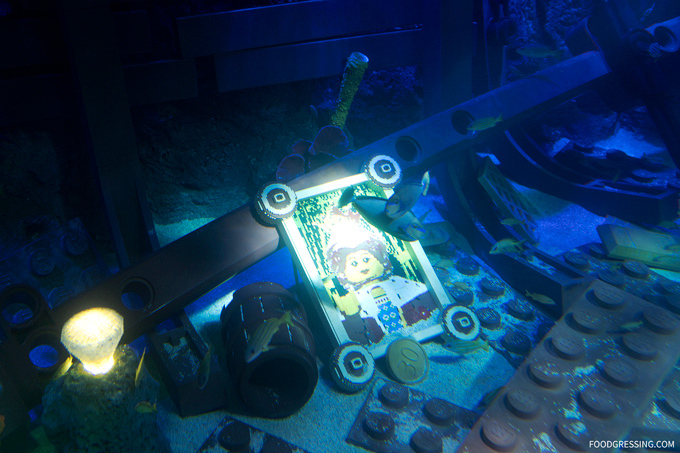 As we passed through the waters, we saw different LEGO treasures. In terms of wildlife, I saw various fish and a stingray. 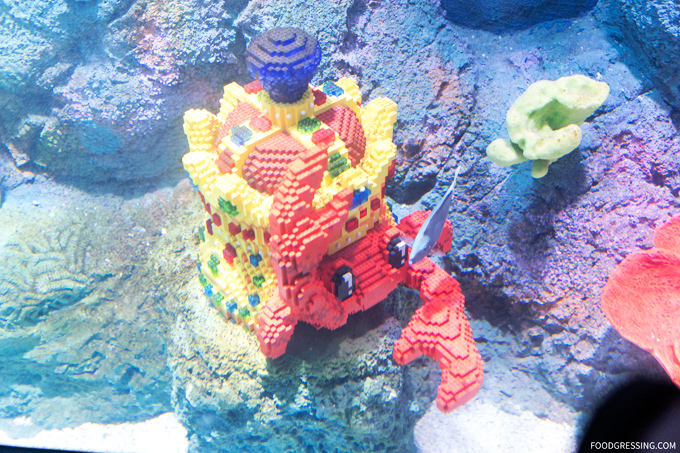 The admission to Deep Sea Adventure is included in your ticket to LEGOLAND. Riders under 52″ may only ride with a supervising companion at least 14 years old and 52″ tall. 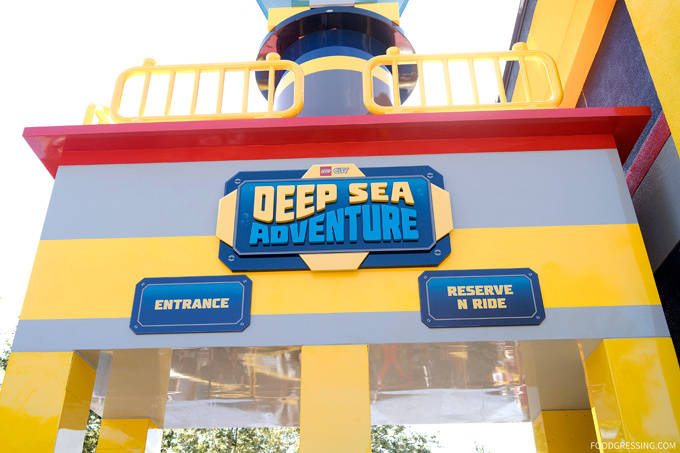 Overall, we enjoyed the Deep Sea Adventure ride albeit it was too short (as always!). 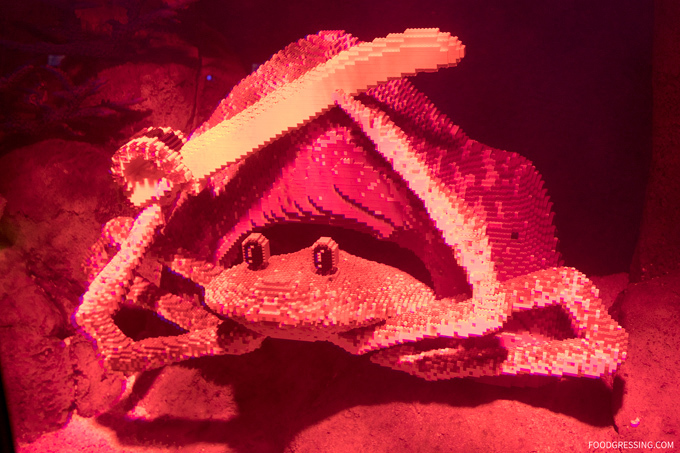 I would definitely recommend giving this new attraction at LEGOLAND California a try. 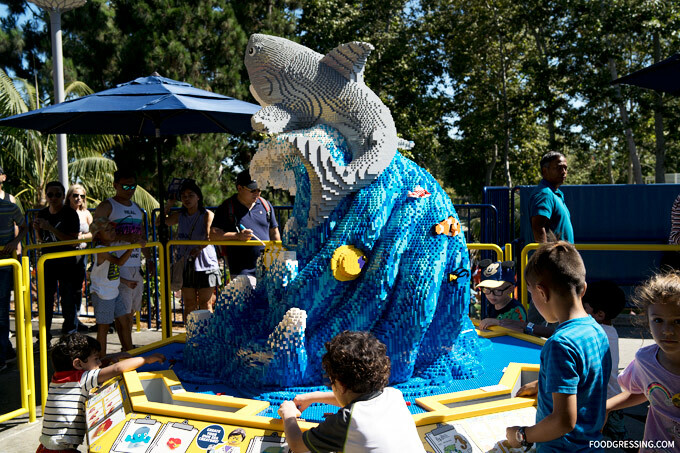 To find out about how to buy discount LEGOLAND California tickets, visit here. Animal species: Eventually 2,000, including Blacktip Reef Sharks, Southern and Cownose Stingrays, Blue-lined Seaperch, Bigscale Soliderfish, and Foxface Rabbitfish.